I have purchased several Unlimited educator subscriptions. How do I manage them? 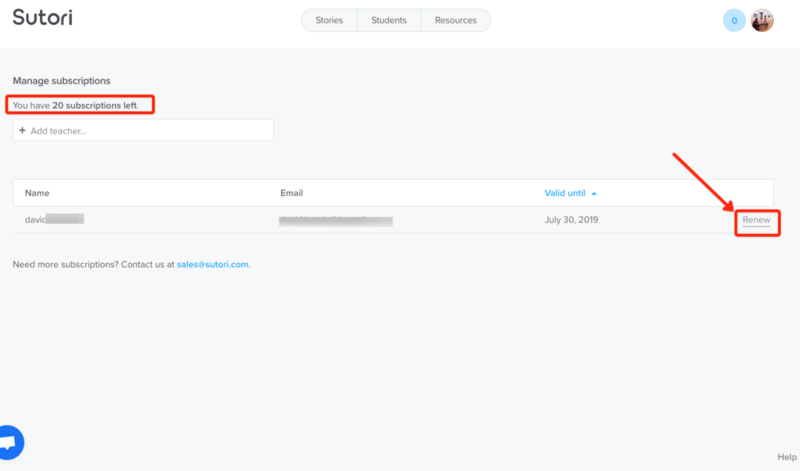 If you have purchased several educator Unlimited subscriptions, you can manage all accounts that you wish to upgrade directly on Sutori. To enable this feature, please email us at sales@sutori.com and we will get it setup for you. 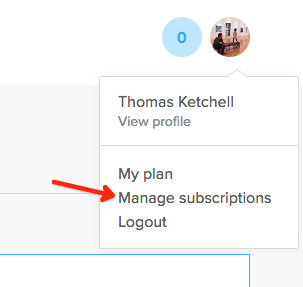 Click on "Manage Subscriptions" and search for them as shown on the screenshot below. Please note that you can add them using their full name or the email with which they have registered on Sutori. 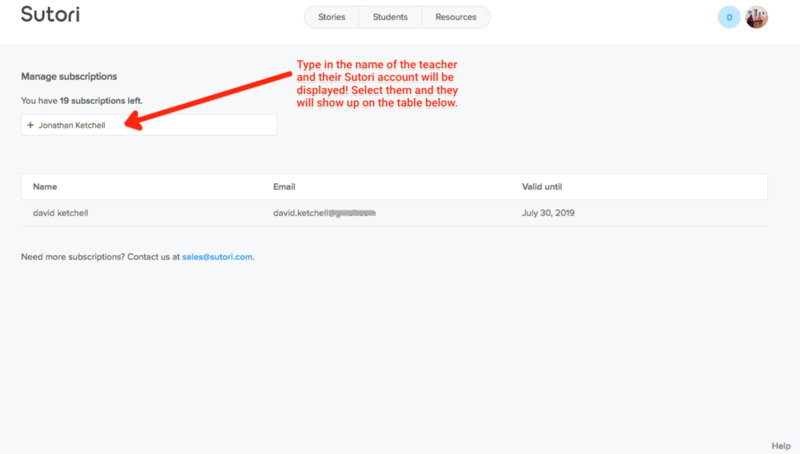 If you have renewed your subscriptions to Sutori, you will be able to "renew" individual teacher accounts or assign new ones for the upcoming year. Simply press on "renew" when logged into your admin panel. Please note that this option is only enabled if you have purchased subscriptions for your teachers. You may only add educators that have already signed up to Sutori so make sure they have registered on the platform before upgrading them to Sutori Unlimited!